TOPAZ HORIZON: Topaz Horizon is officially now a mommy blog. So let's do a mega mom giveaway! Topaz Horizon is officially now a mommy blog. So let's do a mega mom giveaway! Well, not really a mommy blog. Topaz Horizon will now just be the lifestyle blog of someone who happens to be a mommy. I've been announcing this forever but today, after more than six years of blogging about my parenting adventures over at Topaz Mommy, I am merging my lifestyle and mommy blogs into one. 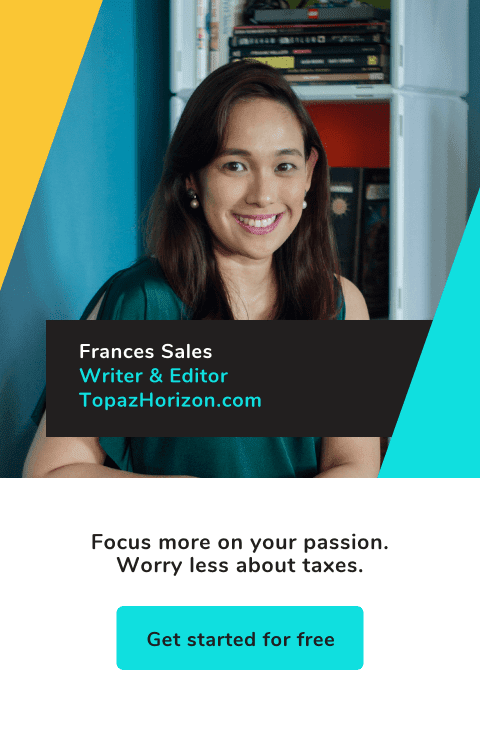 Topaz Horizon is now the lifestyle blog of a writer, editor, wife... and mom. This won't actually become a mommy blog; it's just going to have a few parenting-related posts now and then. By that, I mean parenting in a general term, not necessarily about my kids. As I explained over at my very last post on Topaz Mommy, I'm finding it harder and harder to talk about my kids the older they get. So I'm going to have to find a way to celebrate motherhood without involving my kids. How I'm going to do that, I do not know! But I'll figure something out. To celebrate the new direction of Topaz Horizon, I'm doing a mega giveaway! As a (former) mom blogger, I have a lot of stuff sent my way. Many of them I never got to use. So why not share them all to one lucky mommy? Yes, all these for one winner! 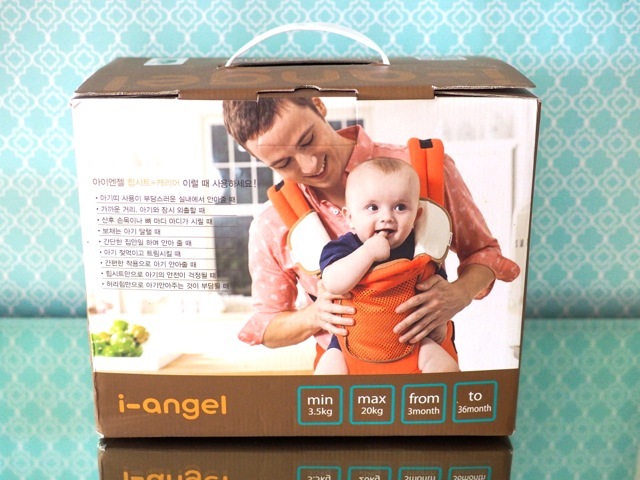 i-Angel Hip Seat Baby Carrier. This was a gift from i-Angel (thanks so much!) but we never got to use it because, well, I'm a housewife who works at home. I hardly ever go out of the house! So super sayang because my friends love this, especially when they travel. This carrier distributes baby's weight so your back and shoulders don't die. I'll feature this amazing baby carrier next week so you'll want to get one! I think any mom and dad would love to have this carrier worth P6,995! To know more about i-Angel, click here. 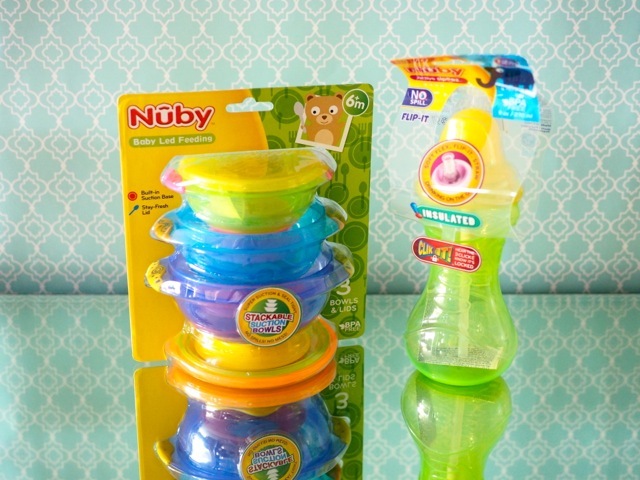 Nuby stackable suction bowls (set of 3) and a no-spill, flip-it top drinking bottle. We got three sets of these cuties but my first two boys are already using grown-up plates and glasses so I'm giving away a set. My bunso baby loves these! Nuby is new in the country and I like the brand for its baby-friendly, easy-to-wash, vibrantly colored and affordable products. I'll write more about Nuby soon! To see the complete line of Nuby products, click here. 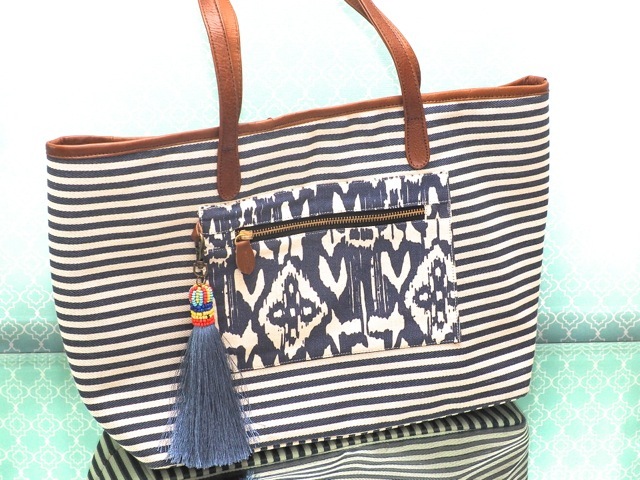 L'Indochine ikat-and-stripe tote from their travel collection. I got this from a fab event at L'Indochine, the home and style store of all things from Indochina. This is such a nice bag! Designed to hold your essentials in a chic and sturdy way, this tote will soon be your favorite bag. My friends love it sooo much! We love the big, fat tassel. So on trend now with all the big bag charms so hot with all the fashion girls! Be part of the community of L'Indochine lovers and like their Facebook page. Lee and Town 100% Muslin Swaddle Blanket from BabyPodManila. 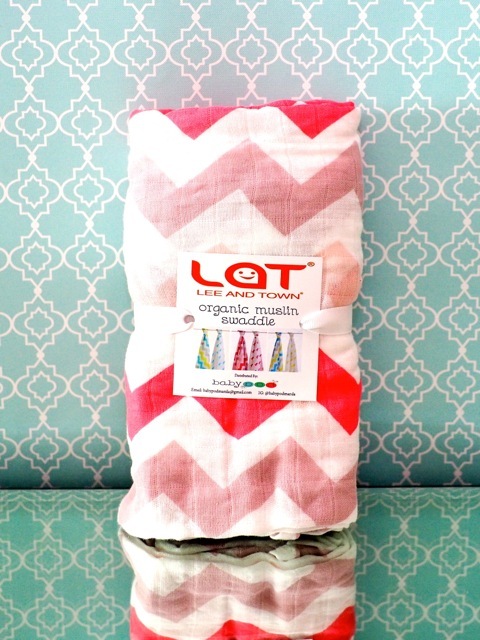 Made from organic cotton, this blanket is perfect for babies and toddlers because it's breathable, soft and ultra comfy. I actually really do love it but I have so many muslin cloths already! Let's share! To know more about this swaddle blanket, click here. Maternalove Signature Multiway Dress. Never used which was such a shame because I'd have loved to wear this! One dress that can be worn in multiple ways—from pregnancy to breastfeeding to back to normal (is there ever a normal for us moms?). I didn't get to wear it because it was too small for me. This dress is a medium, by the way. So if you're a tiny girl, this will be perfect! To see the other ways you can wear this versatile dress, click here. Elin nursing cover. 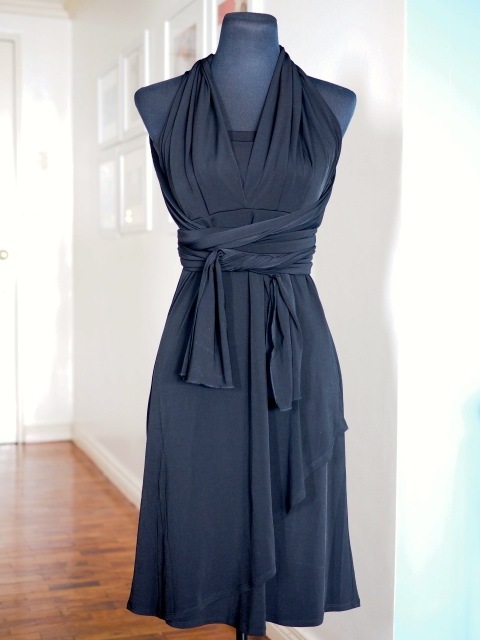 This is the Billie Multiway Wrap. You can use it as a shawl, a scarf, cape, poncho, and of course as a breastfeeding cover! So useful! This is from Elin.ph, my favorite brand of maternity and nursing wear. I'm wearing an Elin nursing top right now as I type actually because I'm still a breastfeeding mama and I can attest to the softness, comfort and style of every Elin item! To see more Elin dresses, tops, and nursing covers, click here. 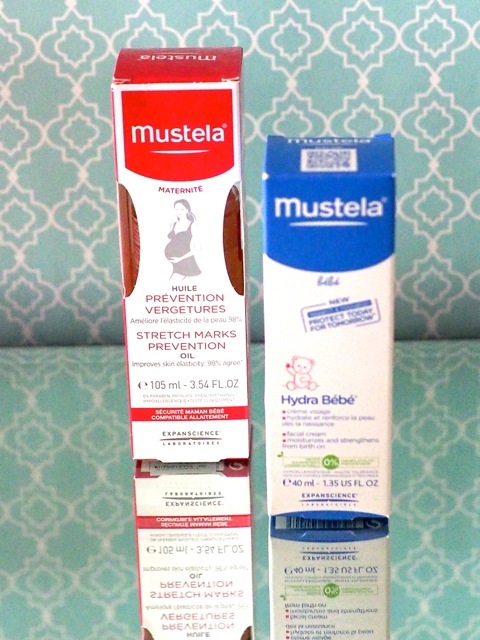 Mustela Maternité Stretchmarks Prevention Oil for mommy and Mustela Bébé Facial Cream for baby. I have always always always LOVED Mustela products. My kids have been using Mustela for years! Every product they offer is the best for skin—mommy's and baby's! To know more about Mustela and how it cares for skin, click here. LUX Perfume Bath Collection. I'm giving away a one-year supply of the body wash! Showering is going to be such a sensory experience! Plus, you'll smell great all day! I'll throw in the bar soaps, too! LUX is available at leading supermarkets and drugstores. 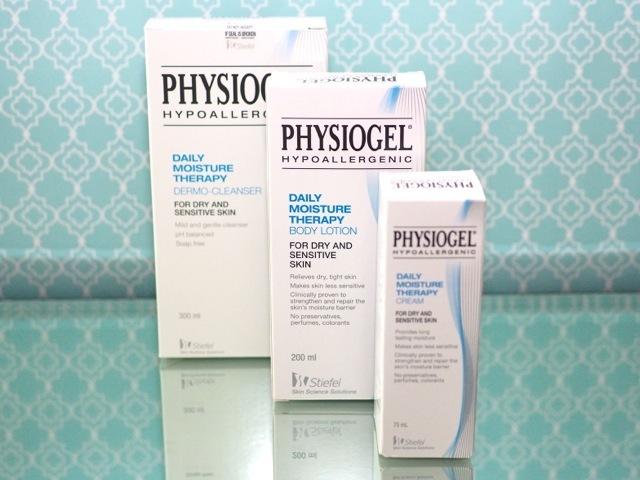 Physiogel Daily Moisture Therapy line, which includes the dermo-cleanser, cream and body lotion. You all know I'm a huge fan of Physiogel. Best body lotion I've tried! So it's perfect for the rapidly changing skin of a pregnant woman and the usually neglected skin of a busy mommy. It's even great for baby's skin! To know more about how Physiogel cares for sensitive skin, click here. Desk calendar from SnapperDoodles. Oh this is the prettiest calendar! It also comes with just-as-pretty notepads. I actually wanted to keep it but I already have two planners and one wall calendar. So let's give this pretty thing away! To see more items from SnapperDoodles, click here. 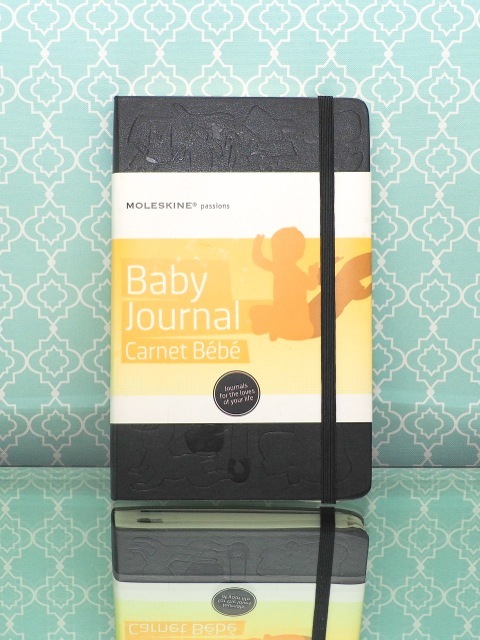 Moleskine Baby Journal. This planner is made for the pregnancy years, through infancy up until toddler age. I love the embossed leather cover. I also love the no-nonsense look of the pages inside because it lets moms who like to keep things simple have an uncluttered, fuss-free experience. At the same time, if you're the crafty kind, the absence of decoration just begs to be personalized! To see the inside pages of this special journal, click here. Let's look at the prizes one more time. The winner will get all these! 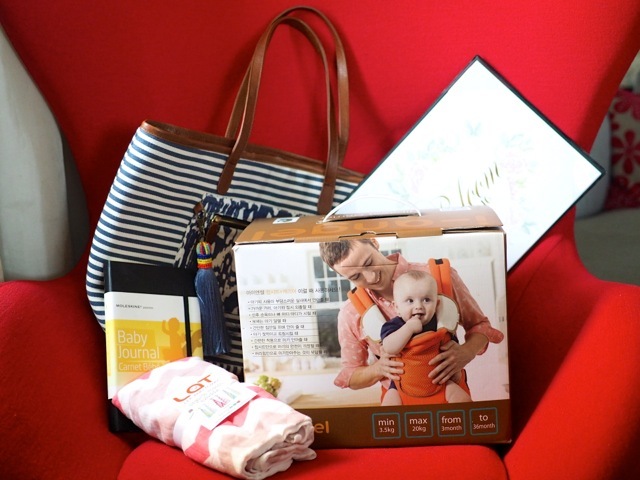 These are all gifts to me by the generous brands who love moms everywhere. These are all unused. And they're all just waiting for you to win them in one fell swoop! Best of all, this giveaway is open to ALL of my Loyal Readers. You don't have to be a mommy to join. You can be a husband. You can be a friend. You can be a group of friends who want to give these to a friend who is pregnant or a new mom. You can be a group of mommy friends who would like to share the prizes. So giveaway is open to all! Leave a comment below on your favorite blog post on Topaz Horizon. You can also tell me what topics you like to read about here on my blog. Share this post with your friends! I don't mind how—Facebook, Twitter, Instagram—or how many times, once, twice, thrice. Bahala na kayo! Just use the hashtag #TopazHorizonMegaMomGiveaway so I can easily find it. Contest will run for two weeks. I'm not going to publish the comments till the end para walang gayahan ng sagot hehe. Winner will be randomly chosen. Like I said, anyone can join! I'll announce the lucky winner on March 28, 6 p.m. Good luck, y'all! If winner doesn't contact me within a week of announcement, I will pick a new winner. Winner must pick up the prize. I will not ship or deliver! You may send a representative to pick up the prize, just tell me who the person is and tell him/her to bring an ID. If winner doesn't pick up the prize within one month, I will pick a new winner. CONGRATULATIONS TO KRISTEN ROCEL VILLASIS! I loved each and every answer, from old readers to new ones who just happened to drop by, from men and women! So I did a raffle and Rocel's name was picked! Congrats!!! Send me a message via my blog's Facebook page to claim your prizes. I love how you are still into beauty and fashion (i loooove the OOTD's and the product reviews, keep em coming!). I enjoyed reading your blog especially when I stopped working for a year to take care of my daughter (#dearjoie). I somehow found a friend in you through your posts, it's as if we're officemates sharing our personal lives over coffee breaks. Your decision to move the parenting blog here, though a little sad, but actually is quite exciting. To be honest, I am more of a mommytopaz reader then and because of that, I discovered the topazhorizon page. And then I got hooked. And now I'm back to working corporate and full time, this blog came in handy. Oh well, girls will always be girls even if we become mommies. I love that about this online world we now have! We find kindred spirits and we don't feel so alone anymore =) Thanks so much for reading my blog and for the encouragement! Your recent post "The one and only time I get consumed with envy" is my favorite for this month (I have other favorite posts but they change as you post other topics). I can really relate to your post and I read the link of your post about "Being A Mom without a Mom...). My sons never got to meet my mother because she died a day after I gave birth. She had colon cancer and I wasn't able to visit her as often as I wanted during her last days because of my pregnancy. Whenever I am sad, I always remember my mom and really wished she is here with me to see her grandchildren. Just yesterday, I was talking to my sister who lives miles and miles away and had a recent accident and we both ended up crying because she said she missed mommy so much during these times. I like your candid way of writing and your honesty. I was surprised you showed us your face with all the pimples and marks for the Physiogel post because I had always associated you with glamour and chic! I am glad Physiogel is helping you get back to having a smooth and blemish-free face. I think you can write about your random thoughts on things happening in your life as well as the products you find helpful for women! Thank you for sharing your insights. Anyway, I am sending you and your sister a big hug. It is tough to be a mom without a mom. And my heart breaks for you, losing your mom right after the happiest day of your life. I pray that God gives you comfort, strength, wisdom and joy always! HUGS! One of my most heartfelt goodreads about you blogpost is your glimpse story about your childhood and your Mother. I kinda relate to your story tho the situation is different. My Mamma work abroad when I was 3 yrs old until now that I'm 26. That makes us a big gap kaya di kami masyado close not even we don't have that mother and daughter bonding like everyone else. But when I read your story I thought that I was to blessed because I have her and understand why she need to sacrifice all of it because it's only for us to give us a better life she want. I appreciate all the efforts she does for us. A time and years that lost. But still, I'm thankful that she is still there makes me love her more and not take it for granted. Because I know in the future I will become a mother and I will realize what are the things you will do just for the sake of family. Alam mo, naisip ko na rin yan. Feeling ko if Mama was still alive today, I won't be a good a mom as I am now. I'm not perfect, ha! I'm just saying that I used to be so selfish and mean, I never wanted to have kids, I was all "me, me, me." Imagine if I was still like that now! Kawawa naman my kids! When Mama died, talagang I was devastated. My heart became more tender, more humble, more geenrous. So you're right—maybe God needed to break my heart so I can be a better mommy to the precious boys He was sending my way! Well, I've been a silent fan of both Topaz blogs. What I love reading on your blog are your random musings. It gives your blog a personality and its unique voice. It makes me realize that apart from all the glam life you have, you are no different from us because you still feel anxious, sad or envious or tired of being a mom even (which I totally get. No judgements). Though it's sad that I would have to say goodbye to Topaz Mommy at this moment when I just became a new mom (to a healthy baby boy:) ), I can still feel that I would still get mommy tips from you since being a mom never stops. Yes! Mom for life! =D Thank you for not judging me. That was one big reason I gave up Topaz Mommy. I got so scared of the negative comments that I just didn't want to share my struggles with motherhood anymore. So thank you. Your encouragement means a lot to me! How sweet of you to respond to all entries. ❤ I always feel bad when I feel like im being judged as a bad mom. But reading blogs gives me validation that it will all be okay. I have several favorite entries here in Topaz Horizon but my latest favorite is your post how Iñigo contemplated LOVE! He is really sweet that it captured the hearts of most of your readers, including me, of course. Most parents can relate to that particular post because sweet gestures from our little ones erase all our anxieties away. 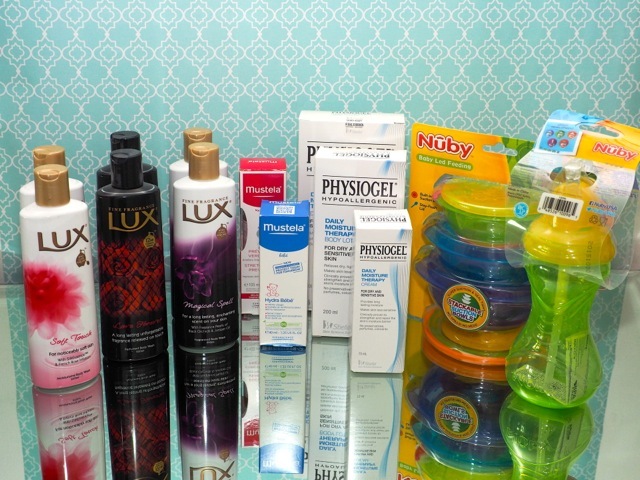 I'm not not going to have a new baby yet but just want to let you know how I have loved Physiogel ever since I won your previous raffle of it. I will you all the best for this 2 in 1 blog Frances! Hi Frances! My favorite blog post was back in September 2011 entitled, "Prepare for tomorrow, live today!" I just resigned from my job at an IT firm where i worked for 8 years and i was transitioning into a new role in a different industry. It was pretty exciting but quite daunting as well since I will be going out of my comfort zone. It was just the perfect reading material to reaffirm my plans and it gave me the confidence to work on my financial independence. Plus it encouraged me to get into some investments with Philam. That was more than 4 years ago and those investments have been great. Oh wow! Yes, that was a sponsored post that I really enjoyed writing because I learned so much myself. I'm so glad it helped you and that your investments have grown! So very happy to know that =) Thank you for telling me! It's so difficult to pick a favorite. I have loads. But I guess the latest one is that post about your mum (http://www.topazhorizon.com/2016/03/the-one-and-only-time-i-get-consumed.html). It really made me cry and made me realize how I (again) doesn't appreciate my mum that much. I am very blessed to have a mum who takes care of my daughter all day even if she still has to take care of my baby brother who happens to be a special child. Alam mo yung, I just assumed it's okay coz hey! Apo nya naman yun. But no! I should always always appreciate my mother's effort to help us out with the baby. And I wanna give you a hug. And I would love to read more of your Topaz Fashions where you post your outfits of the week. I miss that! So more of that please. I mean, I really want a mum OOTD. Yung mga pegs na wearable for us mums. And yay!!! Excited for the grand merge. :) I will surely miss Topaz Mommy but yeah, following you on just one blog is still okay for us. Goodluck on the merge!! As for OOTD, Reigne, wala na. Naka-daster ako every day!!! Actually, I'm a Topaz Mommy loyal reader. Hindi ako dapat nandito. And it really makes me sad that you have to shut down the blog which I've been reading and loved since 2011, the year that I became a Mom. Lahat ng posts mo, favorite ko. Mostly, nakakarelate ako, why? I'm a Super Mom of 3 kids, turning 5, 2 and 1. Ang pinakatumatak talaga sa isip ko is how people reacted when they've found out that you are pregnant again. Especially nung time na buntis ka sa youngest mo. When everyone is not surprise anymore. Parang hindi sila happy. And ikaw lang yung taong nagmamahal sa kanya together with your husband and the kids. Napakahonest mo. You enlighten me that time. Kasi hindi pala ko nag-iisa sa mundo. Hahaha! I'm not into winning honestly kasi hindi naman ako pwedeng pumick-up personally. I'm a full time corporate slave and a Mom. I just wanted to thank you. For being an inspiration not just for me but to all the Moms out there. Thank you Frances. Oy, naiyak naman ako sa "hindi ako dapat nandito," comment! I know! But I'll still talk about motherhood naman here. Just not as often but meron pa rin. Promise! I've been reading Topaz horizon and Topazmommy for about 2 years now.i always check both of your blogs for updates on fashion, mommyhood,recipes (yeah even that).my most favorite topic is about budgeting ( I can't remember the exact date it was posted:() but I actually followed your advice on setting aside a budget if I want to buy something and I will have to say it works very well for me.I had a hard time adjusting from being a corporate lady who shops eveey payday to being a full time housewife cause I lack discipline.Something which I realized I have when I started following some of your advices regarding handling finances.So thank you for that. As for my fave topics, I will have to say the fashion friday because I like how you dress yourself- - classy.you remind me of the saying, "in a world full of kardashians, be a Diana. " That's my envelope method! It really works! But then I had a kasambahay before who stole my envelopes. May kasalanan din ako kasi naiwan ko sa living room yung bag ko. But... Anyway, napakwento tuloy haha Basta ingat lang where you put your envelopes! Out of all of your blog posts, MY MOTHER'S ANSWERED PRAYERS, is my favorite. I remember getting teary-eyed while reading it. This was the time when my father-in-law was diagnosed with stage 4 duodenum cancer. We were praying for healing. There were times when we felt like questioning why God wasn't healing him and why He wasn't doing anything. Your post was timely. It made me and my husband realize that God was, in fact, preparing and upholding everyone in His hands for what was to come. Apparently, my father-in-law was praying that when God takes him away, he wants his children to be mature in their faith and have stable jobs to support their mother. It's amazing how God truly is in charge of everything. By the way, I enjoy reading all the topics that you blog about. Minsan light, minsan deep. Hehe. Keep on blogging! Hugs! Oh my, I just realized from your story that we should share with each other our prayers! Although of course kahit iba-iba pa ang mga prayer requests natin kay God, it is ultimately His will that will prevail. I wish I also had a prayer warriors group that I could meet up. Everyone is so busy with their own lives and business. Kaya, thanks for your blog. Kasi in a way, parang I have a virtual ka-Bible study. Hehe. My favorite blog post was when you talked about missing your mom and you were envying your friends for having their moms with them. Well, I do understand your situation. Being a mom yourself means you miss your mom even more and makes you appreciate her even more. I guess, honestly speaking, I also envy those who have those kinds of moms because I don't have a mom like that. Oh, my mom is still alive by the way, but she's the type who nags that just get to my nerves most of the time. She criticizes everything from how I raise my kids, what I feed them, what school they go to, etc. *sigh* Don't get me wrong. I love my mom, but right now, I just don't share the same sentiment of missing her or something like that. Probably because I can still hear her nagging. Of course you love your mom! Maybe she just misses taking care of everything herself, you know? Or maybe she makes pakialam because she wants the best for you but her idea of best isn't the same as yours. I'm not making excuses for her. Just hoping that your relationship will improve. =) HUGS! my heart. It is a fitting reminder how pure and innocent a love from a child is. They can only describe it with what they have and what they know. Love and and the act of loving which are too complicated for most adults have been reduced beautifully by Iñigo using simple yet strong illustrations. As for topics I would want to read more about, it would have to be easy, no-fuss recipes for when I can find time in the kitchen and the usual travelling adventures with kids in tow. I'm sorry to hear you lost your father when you were so young. Thank you for understanding how I feel even though you're not a mommy yet. I guess everyone who's lost a parent will understand our grief. My favorite article from Topaz Mommy is the one titled "How much it costs to give birth at St. Luke's Global" from 2 years ago. It was also my first time to read the blog and I found it very helpful. Although I gave birth at The Medical City, the tips and insights in the article were very helpful especially for clueless first time moms. My favorite Topaz Horizon blog post is "On blogging and not blogging" from 2014. I started blogging before as a hobby, and years later, thought that it would be a great way to promote my art, as well as talk about the things that I loved. Especially creative topics that would also inspire others to tap into their own creativity. But I've also always fallen into the trap of putting it off for some other "more important" thing, such as actually making art. I even tried blogging daily before, and then tried blogging 3x a week, and while I sustained it for a few months, I wasn't able to sustain it forever. Reading your post made me feel normal and less guilty about not blogging all the time. Now, that I have a 2 month old son who's constantly breastfeeding and wants to be carried 24/7, that post is all the more relatable. Like you said, it's kind of hard to type a blog post while carrying a really heavy little human. Congratulations on consolidating your blogs! I'm really happy that you're still going to talk about your mommy life. Reading mommy blog posts has been helping me cope with being strapped to my baby 24/7 haha! Ya, don't feel bad about not blogging. Consider the reasons why—your art, your baby! Those are very good reasons to not blog. i've been a reader of topazhorizon and topazmommy for around 2yrs already. also my friend tina, a new mom. she asked me to join this contest so if i win, she can have a baby carrier for mertina faith, her daughter. one of the blog posts i really like is about PUSH PRESENT. and by the way, i so love your yellow ring. it's looks so amazing. but the blog post that really hit me and made me cry is the one about your mama. i still have my mommy. but i could relate to your post coz my boyfriend died 4 months ago. I saw your comment on my other blog post and nalungkot ako sobra. I'm so sorry to hear about your fiancé. I'm glad my little boys cheer you up, and yes, I hope you have children one day, too! May your heart be comforted! Hugs! i've been a reader of topazhorizon and topazmommy for around 2 years already. also my friend tina, a new mom. she asked me to join this contest so if i win, she can have a baby carrier for mertina faith, her daughter. Amazing prizes by the way. Great way to start the rebirth of the blog. More power!!! For daily updates, check my Instagram! =D Here on the blog, baka I'll just do a monthly update on the boys. I like your blog about http://www.topazhorizon.com/2016/03/what-i-want-from-sm-home-fair-this-march.html because I super enjoy shopping at home section, I get fascinated with the furniture or accessories designs that really attracts me, Everytime I go to shopping mall to do groceries I find time to window shop at home section and begin to explore for new designs and if I already have budget for it, I will surely comeback and purchase it. My favorite blog post of yours is Our romantic dinner at The Peacock Garden at Bohol. Kasi po I'm from Visayas also pero hindi pa ako nakapunta ng Bohol pero dahil sa blog mo na excite tuloy ako at gusto kong pumunta kami ng family ko sa Loboc River this summer. At yung mga food sa picture ang sasarap po. Ang gusto ko pong topic na gusto kong makita at mabasa sa blog mo ay kung papaano or mga tips sa pagluluto ng mga nutritious food at how to prepare baon sa mga kids para sa school. Hi Frances! 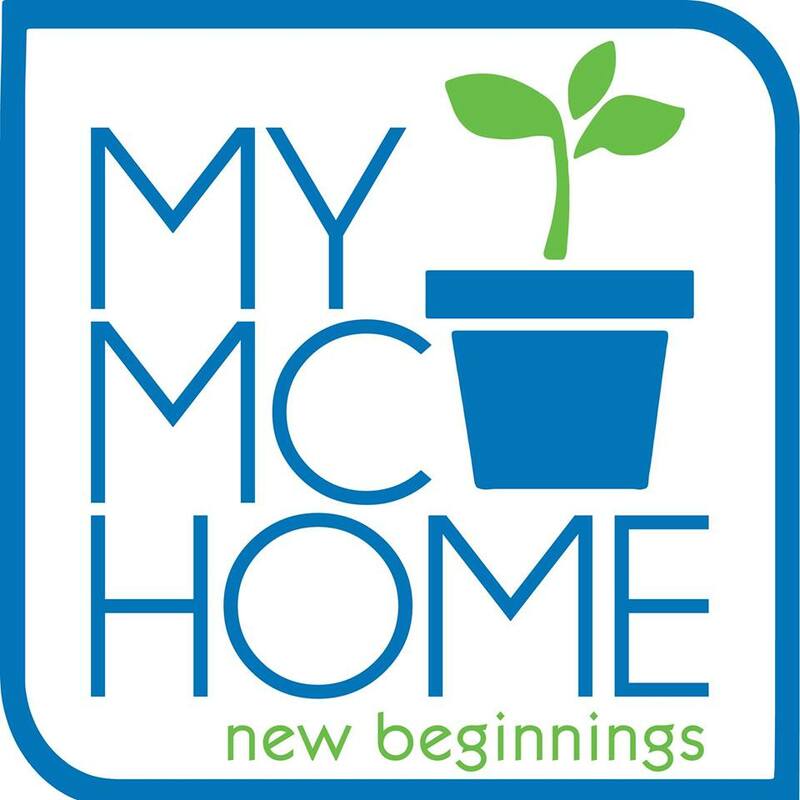 Omg, ever since I started this mommy journey, I have gone back and back to your website. I love your raw testimonies on your adventures as a working, hands-on mom. Apart from that, I love all the things you discover ~ whether it's the newest beauty product to try on, or the best activity you can give your boys. I just love your whole blog. But one thing that stood out for me was your article on Beauty Biz Bliss. I believe in collaboration over competition. You teaming up with Ginger, and Martine? That is just amazing. I never thought I'd get the chance to work for all of you, #BossBellas. Things that I thought would always be out of reach, well, I'm slowly climbing my way towards it ~ towards my dreams. Thank you Frances, for your blog, for your stories, your advocacies, you lovely adventures. I never get tired reading! Thank you for creating this blog ~ truly is super informative.... but it makes me believe that some day, when things fall into place, all of my dreams will slowly come true. Thank you! Wow, what a giveaway!!! The multi way dress & the carrier would be perfect for me and my almost three month old baby. As to my favorite blog post, it's the My fave things at home. At yung iba mo pang post featuring your house. I just love how you can manage to make you house look pleasant despite the kids. I know lagi mong sinasabi that it's more beautiful before but my, it's still looking good up to now! Gusto ko rin yung post mo na nagredecorate kayo ng house, rearrange the furniture, Vince putting Japanese lantern at yung pag DIY paint ka ng walls (sa Mommy Topaz yata yung post na yun? haha!) at yung sumali ka sa decorating¬ contest kung san mo napanalunan yung pagka ganda ganda niyong headboard. Ang galing niyo rin pumili ng gamit, your bedsheets, plates, sofa. I must say, you have eyes for good stuff. Hope to win! Thy will be done! God bless your generous soul and congrats in advance sa mananalo. Bongga!!! Well first I would like to say thank you for that mega giveaway. About my fave topic/s of yours, I like most was your beauty product reviews especially the physiogel review. Eventhough its a bit pricey, its effective! And your blog about "my roles in life" I always read it for the nth time. Baka class Im a new mom, it help me understand more about myself and to new me as a mom. 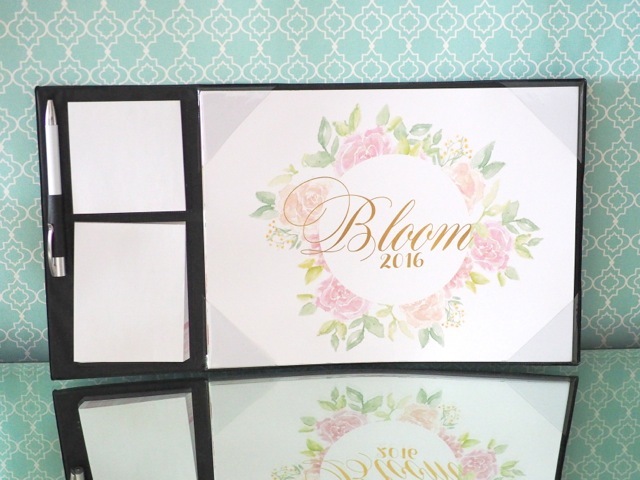 And I also like your blog about the Kate Spade 2016 agenda beacause im into planner also. Im glad I found your site on FB and also on IG. Thank you, you are a big help for me as a new mom. And also, I love that family pic on the top of the post. Certainly cushioned the emotions of the entire post. Cause yeah, I kinda went on a roller coaster of emotion with that post. Haha. I remember being sad for you and also being happy that you never gave up on your love for blogging. I like all your reviews because it's very inspiring you do it by heart and I learned a lot you just not do it to advertise but you share it based on your experience. I love the Coffee Bean & Tea Leaf's Journal 2015 where it tackles about planning to be reminded of everyday of what suppose to be especially me who is a single working mother I see to it that I well organized and plan every decision purposefully because I want there future to be better and give them the best as a mother and you also shared your motherhood on your blog thats why I could relate to your post. Keep it up because theres many people out there whom you inspired..
Reading through your blog is like drinking a cup of rich, smooth chocolate. I like the personable blogging style that you use in answering most difficult questions thrown at you. I love how you manage to write with unwavering grace without mincing words. How I wish I had a large close-knit family with comforting aunts and grandmothers who would drop in and look after the kids or help out with motherhood tasks. You seem to articulate well the life you live and the worldview behind the decisions that you make. Thank you for putting a positive spin on marriage and family. By sharing your life experiences with the world, readers like myself can learn from you. I will look forward to reading more of your "Ask Frances". Favorite post ko is the things ( 7 things)you learned in 2015 and LOVE must always be our motivation for everything which is very true, love should be our highest goal, the bible says everything you do should be done with love. Smmer activities or places to go when you have kids, are the topics i want read in your blog. I'm joining your giveaway. Thank you. Hello po! My cousin tagged me in your FB post, and I was excited for your giveaway. Nung una, I though it was a carrier give-away, which is what I usually join from babywearing. But when I opened your post, I want the dress! Breast feeding is our bonding time with my baby and I'm happy I got to experience that to her. As a working mom, ang hirap because I have to pump as much as I can sa office and bring it home as pasalubong, and when we're together she just latches on to me. My baby is 3 months old now, and I'm a FTM. Not only will the dress be super easy for breastfeeding her, lalo when we go out, it also looks super fashionable (YES! I wear medium! My body has not gone back to what it used to be before pregnancy, but I still wear medium clothes). Although I'm not a fan kase (sorry, I just spend most of my online time on FaceBook, so I actually had to go online on my laptop to view your post and read, and enter. I liked your FB page already btw po ;]), I read some of your posts and I liked them. So to enter the giveaway, I had to at least read a post, but I did read a few. One post that caught my eye was your "The one and only time I get consumed with envy" post. Not because I feel the same way, but because I understood how lucky I am to have my mom by my side throughout my pregnancy, birth and raising my child. I cannot imagine me raising my baby on my own. I wouldn't know where to start. Baka I might break down every day if it wasn't for her because like you said, being a mom is the "hardest job in the world". I wish you had your mom with you helping you with your kids, but then again, you are who you are and you became stronger with out her. I loved your 15-minute meals blog...as moms,especially if you have 5 kids like me, time really is gold. Like now, i m breastfeeding so I have the liberty of reading online blogs and spending time on Facebook. My favorite posts would be thise about the British royals and your red carpet reviews hehe. Your blog entry, "Iñigo contemplates love," posted last 28th of February 2016 just melts my heart. It is a fitting reminder how pure and innocent a love from a child is. They can only describe it with what they have and what they know. Love and and the act of loving which are too complicated for most adults have been reduced beautifully by Iñigo using simple yet strong illustrations. Hi Ms. Frances! Honestly, I'm not aware that you have a blog. I just followed you on IG that's why I already knew your blog. I checked your blogs and find something that I can relate to.http://www.topazhorizon.com/2016/03/topaz-horizon-is-officially-now-mommy.html?m=1 this was my chosen blog. I'm a new blogger, and this blog post really inspire me to pursue blogging. Thank you! I hope you post something about Good Parenting. I'm a young mom, and it'll really help me on how will I discipline and take good care of my baby. That's why I want to win this giveaway for my baby and also for myself. I know I can't afford these things. Thank you for this Ms. Frances! More power to your blog!!! And more years to come. So generous of you!😊 I hope my comment was entered ❤️ More power to your blog! I’ve been an avid but silent follower from some time now, and I must say I like all your posts, both here on Topaz Horizon and on Topaz Mommy (aaww, I’m gonna miss this one). I love your writing style, how it’s straightforward and sincere and real. I especially like one of the recent ones, “Inigo contemplates love.” The post is short and sweet; and as a mother of a one-year old, it gave me that feeling of excitement for things to come. Will my little girl love me as much as Inigo’s love for his mommy? How will she express it? What will I feel when she tries to describe her love for me? My heart is swelling with anticipation as I am writing this comment now. Hi! I have two favorite blogposts. The first one is when your son contemplates love. I think it's wonderful when your child shows affection or makes lambing. My daughter is just one yer old and I can feel when she is extra affectionate with me. It makes my heart melt. The second one is " The results of my Physiogel Calming Relief 14 day Challenge" because for the longest time I've been looking for acne treatment that works. As of the moment, I just use apple cider and a tea tree facial wash. I want a mild one that has results. I think you're also brave for having your pic taken without makeup or filter. It shows you're truly confident.I aspire to be that confident too. I would love to see more products that cater to those with not so perfect skin. One of my favorite post is Mother's Day Makes Me Sad. I can sooo relate coz I lost my mom 10years ago and I am now raising my two kids without her. The giveaways are just so timely! Clothes for easy breastfeeding, Cari's now starting to eat, plus the carrier! My scoliosis will be easier to bear even when I carry her! The "How to portion your meals" is my favorite post of yours as of now.Ngayon ko lang kasi nalaman yon,hahah!Di ako aware ang lakas ko sa rice.Especially ngaun more than a year na akong breastfed sa baby ko ang bilis kong magutom.Sana more post pa like ganito health/diet for mommies like me para di lalong bumigat ang timbang. My favorite blog post on Topaz Horizon dates back in December 2006 and the title is Hear ye, hear ye! It was the blog post when you announced your engagement with Vince. I thought the idea of a woman proposing marriage to the love of her life is so inspired! I already think you had a fabulous life as editor-in-chief of OK! Magazine. But this was the start of an even more beautiful and deliciously happier life! So that's why it's my favorite! I've always loved your honest-to-goodness posts. You capture feelings and put it into words so beautifully. That's what I'm looking forward to reading more of in your future posts. More power to Topaz Horizon! Hahaha omigosh I love that post, too! But I'm deleting it soon because I just grabbed the photos of the celebrities I used as examples of bad teeth! Hi Ms. Frances! First of all congratulations on your decision to merge your blog into one. Somehow sad of course because i honestly tell you that Topaz Mommy blog made a major impact in my parenting and motherhood journey. But anyway, i also think that this will also for your good na rin naman. 2nd my answer to your question is your blog about "Three reasons why blogging isn't for everybody". I actually decided on starting up my blog whenever i have my full resources. But your blog made me discern that i still need to learn more. I can open myself to everybody because i want other people to be inspired. But i realize that there's a limitation for everything. Sometimes, you will risk your relationship to your family and friends out of blogging and that is something i am afraid of. 3rd and last, i would like to read about yourself being a woman. How would you say that you are complete and whole now as a woman. And as woman, how would you inspire other women to be the best that they can be? Wow, napa-isip naman ako sa mga tanong mo! I am complete because my life is devoted to love. My husband, my children, my work, my friends, my blogging. Lahat ng ginagawa ko is motivated by love so lahat may meaning and purpose. So I don't feel empty. In fact, my life is not just complete; it is overflowing! Hi Frances! Im a big fan reading your blog. Might not leave every comment,but im updated to read every time you post a blog. I likr your blog " The one and only thing that enveys me. Its really a heartfelt one. All about love,family is i like to read.. :) ofcouse the center us God. Hi frances. I been a fan reading your blogs for so long. Few times i get really relate on your blogs specially when your blog centers on family,hope and love. The really like your blog " The one and only thing i comsumed envy. It really hit me. Somehow i felt something deep in my heart. Pls share more blogs. :) Hope to won. Family, hope and love—the only things that matter in life =D Thanks so much for reading!!! I loved the glad tips blog post! There's some good info on there. It always helps to know how to save food best. Because Lord knows, children don't always finish their meals. I know! And I really hate using the "There are children in the world who don't eat" motivation because I don't want them to feel unnecessary guilt especially when it comes to food!